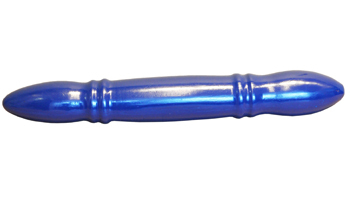 Crackstuffers: Ridged Expander Double Header 70 mm. Now available Crackstuffers Double Headers! Those ridges are there to stimulate, and working up through the sizes will fill your hole. Use them with a buddy on your backs, and grind away, see who is the greediest! Or use it solo and see how much you can take, use plenty of lube and take your time. Total length approximately 50 cm.